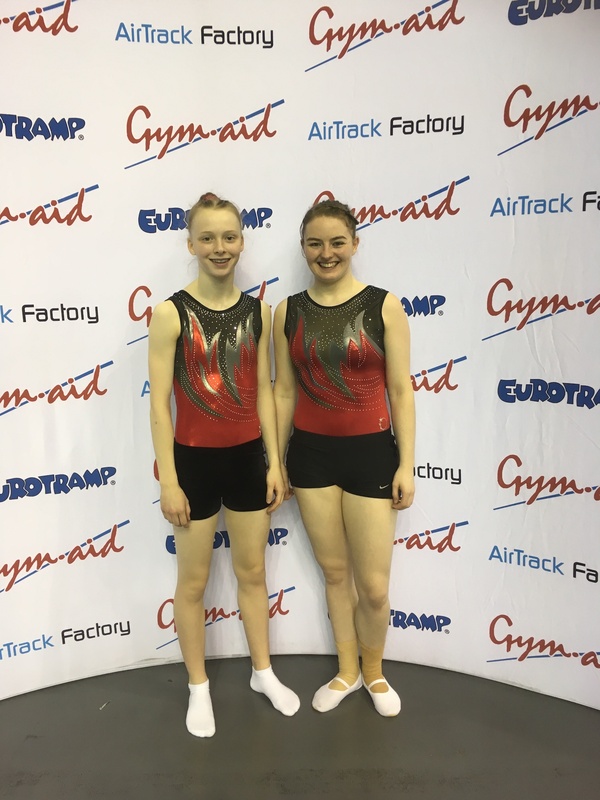 Last month, three gymnasts who train at Oldham Leisure Centre with Dynamo Trampoline Academy took part in the English Championships. Held the English Institute of Sport in Sheffield, they competed alongside with many of the country’s best trampoline, tumbling and double mini trampoline gymnasts. All three of Dynamo’s gymnasts performed outstanding passes. Hannah Bucys, 15, became English Champion in the 15-16 age group, while Ruth Shevelan, 25, from Stockport, won the silver medal in the Senior Women and Chris Lunt, 25, placed fourth in the Senior Men. The British Trampoline, Tumbling and Double Mini Trampoline Championships were also held at the National Indoor Arena in Birmingham last month. Ruth and Hannah were among the gymnasts to qualify. Hannah’s aim was to finish in the top eight in the preliminary round, which would mean she qualified for the final. At the event, Hannah exceeded all expectations, placing second in the preliminary round and retaining her position in the final, winning a silver medal with a personal best performance. Ruth was competing in the Senior Women’s Doubler Mini Trampoline competition for the second time, but a mistake in her first pass meant Ruth was left with no chance of finishing in a medal position. She showed enormous determination to complete her second pass well enough to qualify for the final. Personal best scores in the final round meant Ruth finished in seventh, with the knowledge she can challenge for British and hopefully World medals in 2019. With the National League Finals and the North West Championships still to come this year, Dynamo Trampoline Academy have had a fantastic season. At the National Trampoline Finals next month the club have qualifiers in 12 different events and are hoping to continue their successes. Dynamo Trampoline Academy began training at OCL’s Oldham Sports Centre six years ago, in 2012, when it was known as Stockport Trampoline Club. The height of the sports hall allows the use of a more powerful trampoline bed, meaning club members can train on equipment used in national level competitions. Ruth Shevelan lives in Stockport and combines training at Oldham Sports Centre with her work as an engineer. Chris Lunt began training when he was 17. He now lives in Stockport, works in computer programming and is a casual trampoline coach at OCL. Hannah Bucys is from Chadderton and attends North Chadderton High School. Hannah began trampolining at Failsworth Sports Centre before joining Dynamo.